Crossing Souls (game, 2018). An action-adventure video game by Devolver Digital. Developed by Fourattic, Devolver Digital. Official Trailer. Crossing Souls is an action-adventure video game by Devolver Digital, developed by Devolver Digital and Fourattic. 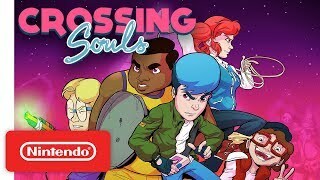 Crossing Souls Launch Trailer - Nintendo Switch. Crossing Souls plays in 1945, where archeologist Dr. Carter Jones is sent by the U.S. government onto a secret mission to recover the Duat Stone, an artifact of mysterious, supernormal power, leading him to a forgotten tomb in the Valley of the Kings near Cairo, Egypt. Dr. Jones is able to get a hold of the stone, but disappears and is never found. Half a century later, in 1986, five teenage friends, Chris, Matt, Charlie, Big Joe and Kevin, discover his corpse on a bicycle trip through the woods outside their quiet town in California, and with it also the Duat Stone. Taking the stone home and driven by curiosity, Matt is able to build a device with which the friends are able to unlock and control the stone's power. Though the friends do not fully understand the artifact's power, they find out that it is able to make them see and interact with the spirits of the dead. However, their curiosity gets into the scope of former U.S. Army general Colonel Beringer, self-proclaimed Major Oh Russ, who had organized the Duat Stone's recovery in 1945, and now wants to stop the friends to get deeper into the artifact's power. While the five children go on an epic journey to uncover the secret behind the artifact and the spirits, that are made visible for them, Oh Russ threatens them and captures their parents and friends, to regain the Duat Stone himself and receive the power to control the deceased to accomplish his world invasion plan. 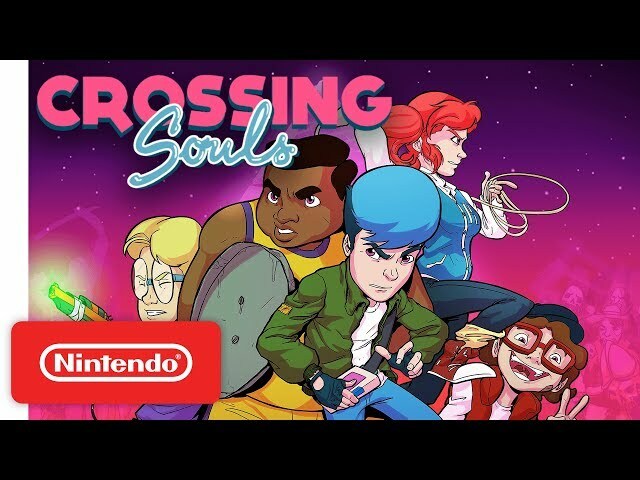 Crossing Souls was scheduled to be released by Devolver Digital on February 13, 2018 and on July 26, 2018. This video game is available for the following platforms: Microsoft Windows, macOS, Linux, PlayStation 4, Nintendo Switch.